Our Caravan is an Atlas Concept 40ft x 12 ft wide situated on Perran Sands, it is a 2006 model and comprises of 2 bedrooms with a second double bed in the lounge, so it sleeps a total of 6 people, it has an en-suite with Bath and a second WC with shower with a stunning balcony to appreciate the views from. It has a fully fitted kitchen with Fridge Freezer Microwave & Automatic Washing Machine, 32" wide screen TFT Colour TV. DVD player. Very well equipped with a really great location. Easy access to the beach, and facilities. Great sea views. Very warm with proper central heating. We had a really lovely holiday, thank you very much. Thank you for your kind review, we are so please you had a lovely holiday, we strive to exceed our customer expectations. A very beautiful caravan. Very clean and was so happy to find everything l needed in the caravan.the view was amazing, watching the sunset.my 3 year old was able to play on the very big balcony for ages.loads of things for kids of all ages todo l had a 3,6,11 and 13 year old who had so much fun. Thank you for your review we are so happy you all had a good time. 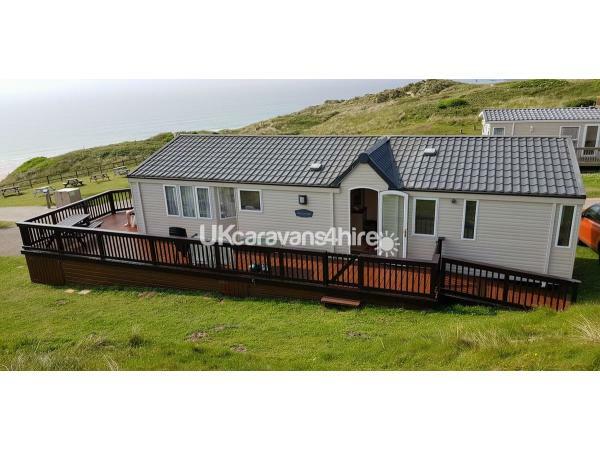 This holiday home has a perfect location on the Perran Sands holiday site. It is sited right at the end of the path that takes you down to the beach so we found it very convenient. Its veranda view of the sea and coastline is unobstructed and in all our years of hiring holiday homes, this one has the most stunning view by far. We spend many days on the lovely beach and in the evenings, watching the sun setting from the veranda. 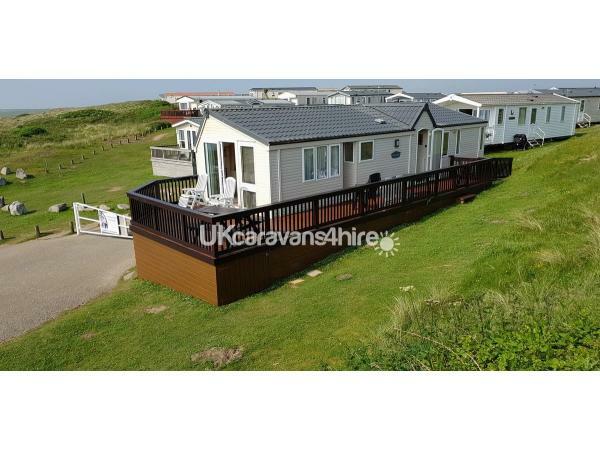 The facilities are what you expect from this beautiful and well maintained caravan - the first one we have ever had which has an en-suite full-size bath (with shower head) as well as a separate shower. The position is also convenient for the other site facilities - walking distance to restaurants and clubhouse/entertainment. I would definitely stay again if back in Perranporth.